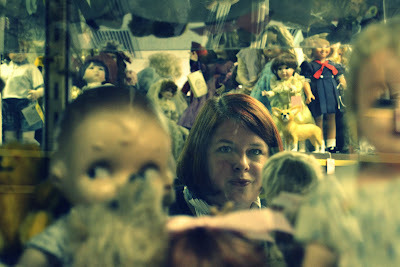 Sometimes you just never know where you are going to end up on a given day. 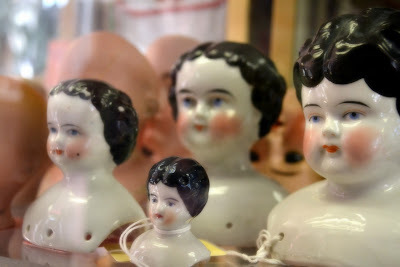 While shopping for a very specific present for a friend (think kitschy fun), a google search lead me to GiGi's Dolls in Chicago. 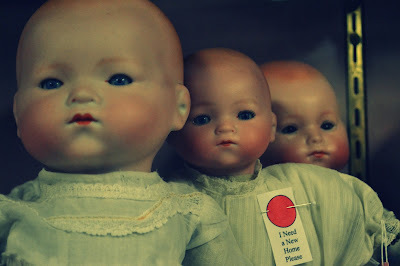 I had no idea what I was in for and when I set foot in the shop a creepy nostalgia came over me. 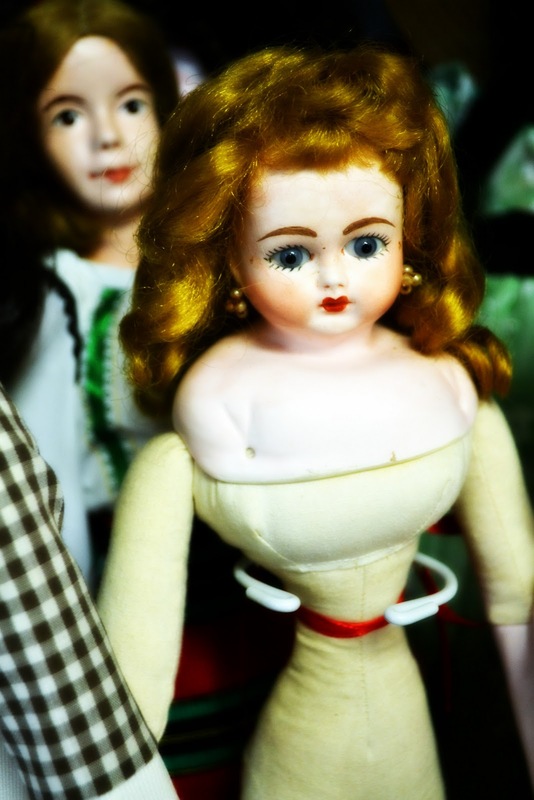 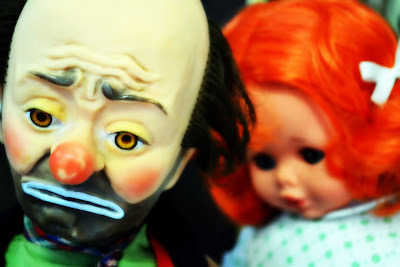 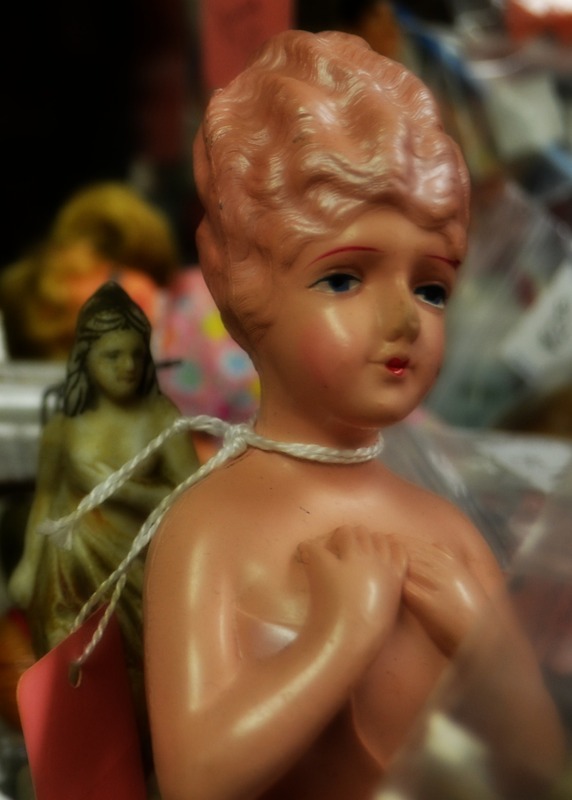 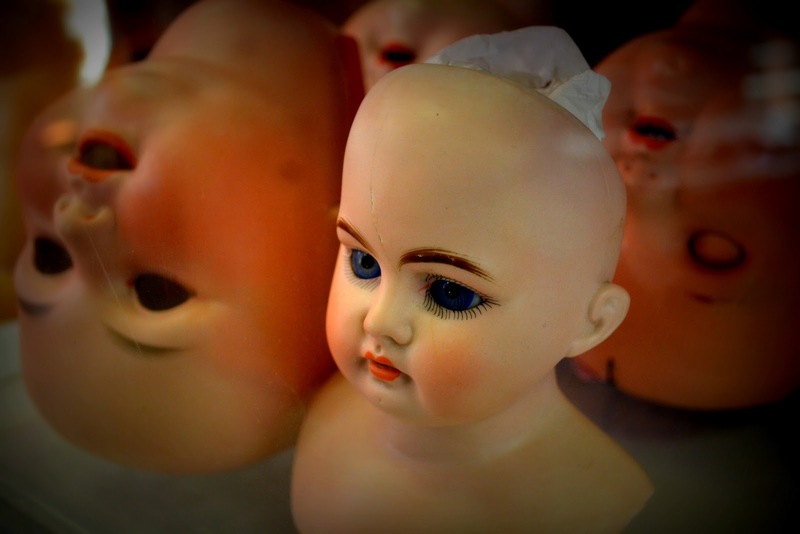 The clerk handed me the item I had on hold as soon as I walked through the door, but before I knew it I found myself scrutinizing the little dolly microcosms on the rows of over stocked shelves. The rooms are stuffed from from floor to ceiling with antique and collectible dolls and it took me nearly an hour to make my first loop through the shop. 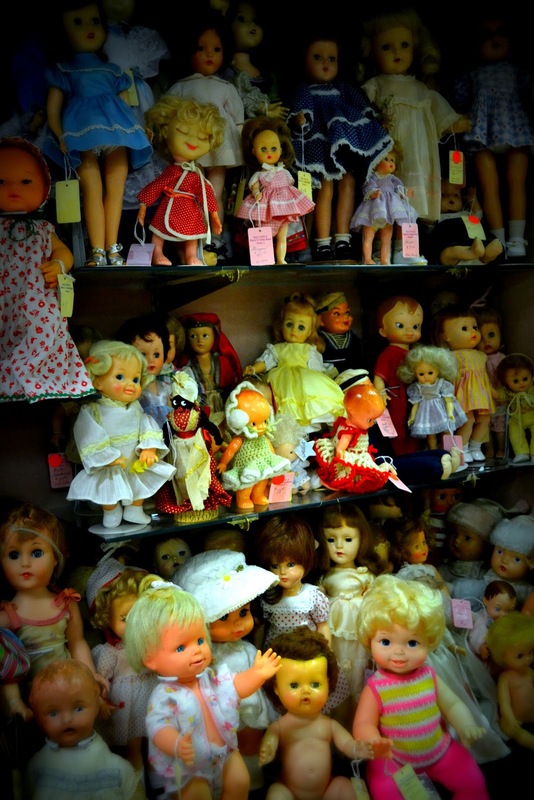 I found the baby Ginette and Tiny Tears dolls I used play with at my grandma's house as a little girl, discovered replicas of my grammy's scary china doll with the broken fingers, and even saw a mint-condition version of my mom's red headed Barbie from the late 1950's (I always pretended she was the evil stepmother because her lips had worn off and she looked very angry). 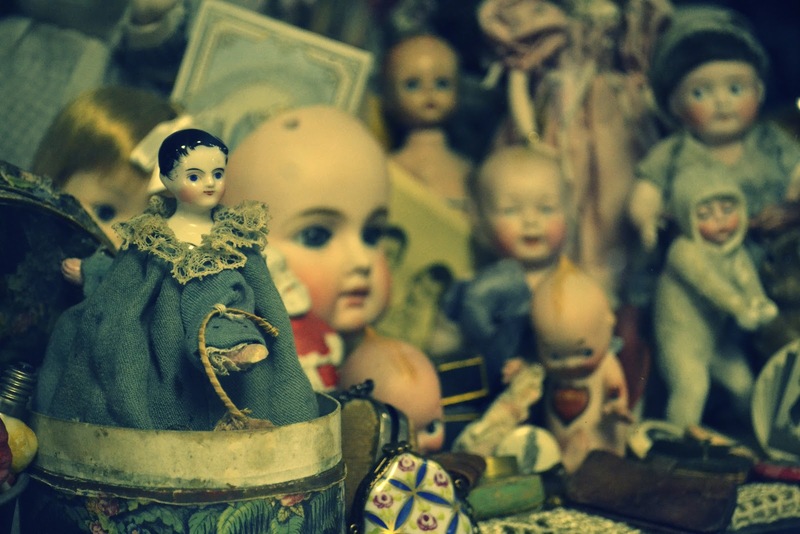 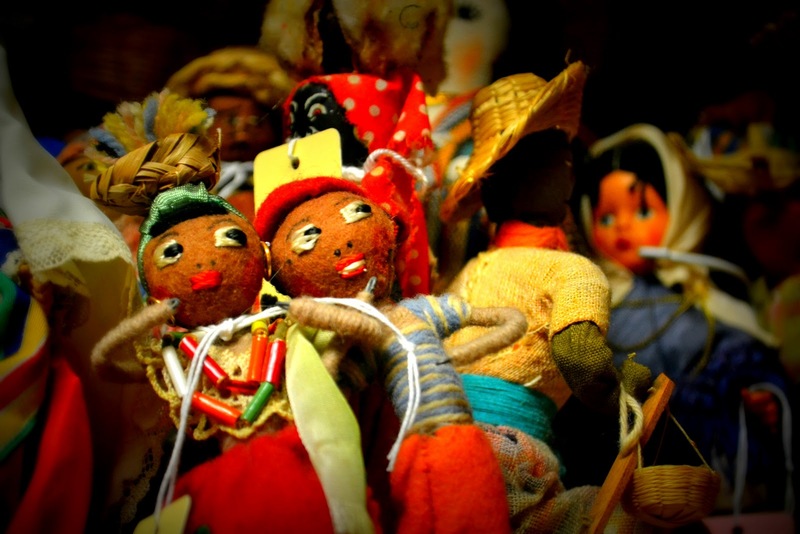 At every turn in the shop there was something memorable, quirky, or downright scary to look at; being there brought out an unusual range of emotions. 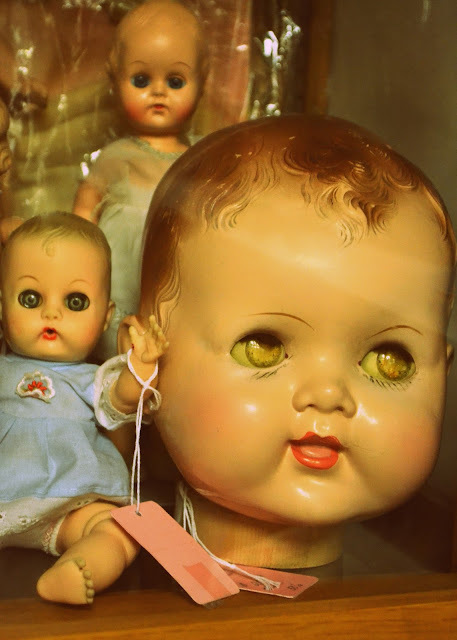 I've always suspected that doll collectors represent a subculture I have absolutely no familiarity with and today proved I was totally right about that. While I know I am not going to become a doll connoisseur, I am delighted that I discovered this land of dolls and had my camera with me...here are some of my favorite shots from my slow walk around the store. Can you even imagine being alone in this shop at night?